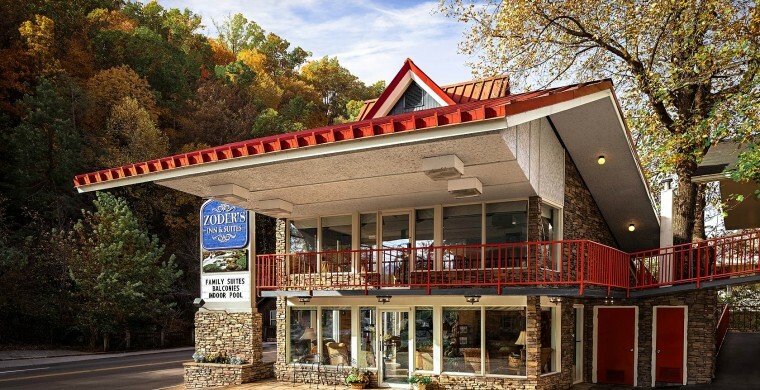 If you are looking for new hotels in Gatlinburg TN, you will not find Zoder Inn among them. Our establishment was founded shortly after the Great Smoky Mountains National Park. We take great pride in that fact. The heritage and tradition of gracious hospitality get paired up every year with the latest innovations in marketing and the closest attention to detail in maintaining the property well. It's a happy marriage between the past and the future of the hotel business in one of the busiest mountain resorts in the United States. In that sense, Zoder's Inn and Suites falls in the category of romantic hotels in Gatlinburg TN. With Valentine's Day coming up, this might be a good time to book a room or a suite with us. We also fall in the category of resorts in Gatlinburg Tennessee. With an indoor and an outdoor pool, racquet ball courts, hot tubs, free continental breakfast, wine and cheese, cookies and milk, outdoor grills and many other amenities, you don't have to look far for pampering.